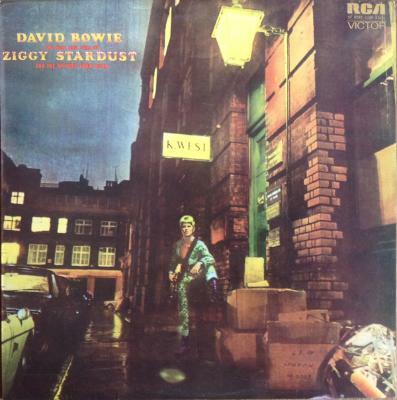 This one was one of my favorites because it was the opening track to The Rise & Fall Of Ziggy Stardust. What was wanted was a drum beat to introduce the song itself and to set an atmosphere for the whole album. The idea of the song is that the world is ending in five years, so it was about finding a drumbeat that got that across – which was quite a challenge! I remember going through drum rolls, cymbal crashes and I kind of thought: 'Well if it's the end of the world… I can't be bothered! Haha!' You wouldn't be excited and you wouldn't feel like doing a lot. So, that beat came out of sort of despair and apathy, and then when the band comes in and David starts singing, it just feels right. It felt like a really good beginning, so I was quite proud of that. I nailed the brief by all reports! It's been a lot of people's favorite bit of drumming, which is always nice to hear. They'll say: 'Oh when 'Five Years' starts, it gives my spine a tingle when I hear it!' Well my spine was tingling when I played it!